With the holiday season upon us, now is the time that many people make sizable cash gifts to children, grandchildren, and other loved ones. 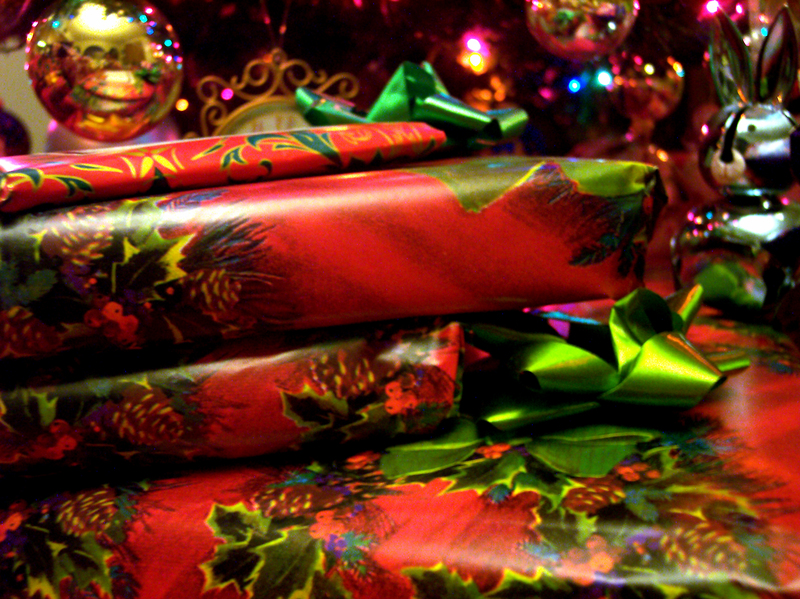 They have often heard there may be tax consequences to making gifts, so they check with their accountant first. Their accountant may have even told them making cash gifts during their lifetime made good tax sense. But they forget to consult an elder law attorney. This omission can be costly because it can cause major repercussions months or even years down the road. Under current IRS regulations, you can gift up to $14,000 per person per year without having to file a gift tax return. So long as your total gifts to one individual over the year total less than or equal to $14,000, the gift has no tax consequence to you. Ok, so far, so good. Many people who want to be generous to their families, and perhaps reduce any estate tax on their deaths, choose to make these types of lifetime gifts. But what if you make a gift and then get sick- perhaps sick enough to require long term nursing home care? Those gifts you made can cause you to be disqualified from receiving vital MassHealth (Medicaid) benefits for a period of five years from the date of the gift. Even smaller monetary gifts much less than $14,000 a year can affect your future MassHealth eligibility! Five years is a long time. And with nursing homes routinely costing in excess of $12,000 per month, getting disqualified from MassHealth can be immensely costly to you. Running out of money paying for nursing home care can take a surprisingly short amount of time, which makes eligibility for MassHealth benefits desperately important. On this point our clients protest “how can that be so . . . the IRS says gifts are fine and my accountant told me to do it.” Put simply, MassHealth does not give a darn what the IRS allows you to gift. They are different agencies with vastly different regulations, serving different purposes. Your accountant did not intend you any harm. Instead, like most folks, your accountant probably had no idea about the potential MassHealth consequences of gifting and was thinking only of potential tax benefits to you. Does this mean you cannot ever make big gifts? Not necessarily. But we advise that clients retain a qualified elder law attorney before making sizable gifts so that they can confirm both the tax and MassHealth consequences of making gifts and take steps to minimize their risks. Wakefield, MA – Curley Law Firm LLP proudly announces that Attorneys Patrick Curley and Lucy Budman were selected for inclusion in Boston Magazine’s November 2013 Super Lawyers issue. Attorney Curley has been selected to MA Super Lawyers since 2011, and Attorney Budman has been selected to Massachusetts Rising Stars since 2012. Patrick and Lucy are selected for inclusion in the practice areas of Estate Planning and Elder Law. Super Lawyers makes it selections based upon peer nominations and research, comprehensive evaluation, and further peer review within the attorney’s primary area of practice. Attorneys who have been admitted to the Massachusetts Bar for less than ten years are eligible to be named Rising Stars. Both Patrick and Lucy are among only two dozen Certified Elder Law Attorneys in the Commonwealth. They are both active in public service to promote elder law issues. Patrick serves on the Board of Directors of the Massachusetts Chapter of the National Academy of Elder Law Attorneys (MassNAELA), which is the leading elder law association with roughly 500 attorney members in the Commonwealth. Lucy is active on MassNAELA committees and has a Masters of Law degree in taxation. Curley Law Firm LLP focuses on Estate Planning and Elder Law to help clients age with dignity and peace of mind. More information about the firm can be found at http://www.CurleyLawFirm.com. 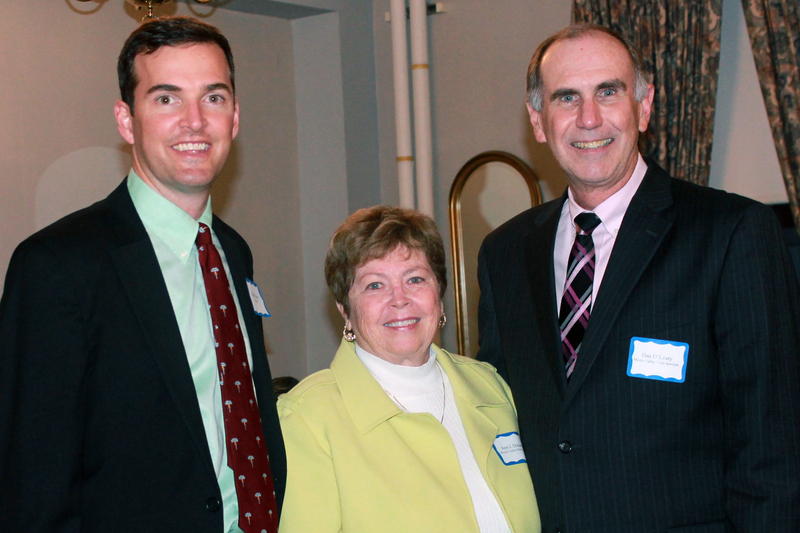 CAPTION: Patrick Curley, elder law attorney, and Ann Doherty, Mystic Valley Elder Services board member, both of Wakefield, and Dan O’Leary, Mystic Valley Elder Services executive director, of Melrose. WAKEFIELD: – Dozens of Wakefield residents and community leaders joined Mystic Valley Elder Services and former Boit Home board members on October 3, 2013 at the Americal Civic Center for a wine tasting and information session. Mystic Valley Elder Services hosted the event to raise awareness of the new Elizabeth E. Boit Fund, which is managed by the community agency and available exclusively to Wakefield seniors. Following the sale of the Boit Home retirement home, the former Boit Home Board of Directors gifted Mystic Valley Elder Services $425,000 to establish the Boit Fund. The Board gifted the balance of the proceeds to the agency’s Gap Endowment, a source of assistance for low-income elders in the Mystic Valley region. The Elizabeth E. Boit Fund is now available to older residents of Wakefield (60+) with limited options, who need one-time assistance managing expenses. The Boit Fund has already helped Wakefield seniors cover medical devices such as hearing aids, health costs such as dental work, and home modifications, such as repairing a wheelchair ramp or entryway stairs. Seniors may apply for assistance by calling Mystic Valley Elder Services at 781-324-7705. Seniors do not need to have a preexisting relationship with Mystic Valley Elder Services in order to apply. Caporale’s Liquors of Wakefield donated wine tasting services to the event, and The Savings Bank provided door prizes which were awarded to two participants. Mystic Valley Elder Services partners with older adults, adults living with disabilities, and caregivers to provide critical, life-supporting care and services. For more information, visit www.mves.org or call 781-324-7705. Q. My husband was discharged from a five-day stay in the hospital to one month in a nursing home rehab. The rehab told us that we had to privately pay for his short term rehab, which totaled more than $12,000. Whatever happened to Medicare covering rehab? A. Your husband fell into the costly “medical observation” trap. Without formal “inpatient admission” to the hospital, his Medicare rehab benefit was never triggered. Read on to protect yourself in the future. For seniors to qualify for Medicare rehab benefits, a hospital must formally admit the senior as an inpatient for at least three days and three nights. If the hospital then discharges the senior to a nursing home for rehab, Medicare picks up the short term rehab costs. Historically, this worked pretty smoothly. Now seniors are falling into the relatively new “medical observation” trap. Due to recent Medicare cost control initiatives, hospitals now frequently accept seniors on “medical observation” status only. This means that the Medicare rehab benefit is not triggered, and the senior is responsible for increased hospitalization costs as well as for all nursing facility rehab costs. Incredibly, hospitals code many seniors as “medical observation” despite multi-day hospitalizations and treatment by the same doctors in the same hospital rooms as “inpatients”. To make matters worse, in the chaos of a hospital admission, seniors rarely recall being told they are on medical observation status only. Even to the extent that they are told, they never understand the financial implications. It is days or weeks later that they learn the dire consequences when they get hit with a huge nursing home rehab bill. These seniors deserve Medicare to cover their rehab expenses. A 99 year old client recently fell and suffered terrible injuries to her face and body. Without multi-day hospitalization, she could have died. The hospital argued to my client’s shocked family that the senior would be “observed” rather than “admitted as a patient.” When she arrived at the nursing home rehab, the family was told it would be nearly $500 per day for her rehab. So what can readers do to protect themselves and their loved ones? First, ask the hospital to confirm in writing whether the senior’s status is “medical observation” or “inpatient” admission. If the hospital will not put it in writing, make certain they clearly confirm the senior’s admission status. Second, do not play down the senior’s need for inpatient hospitalization. Many of my clients are very proud – and rightfully so – but they sometimes play down their health impairments or injuries, and their corresponding need for help. They grew up in the Great Depression area and they are self-reliant. Plus they just want to return home from the hospital. But if overnight hospitalization is required, it is far better for the senior to be admitted as an inpatient to avoid the risk of having to privately pay for any required nursing home rehab. Third, for seniors hospitalized on “medical observation” status only, they must request to speak to the treating physician ASAP and demand a full explanation of why the hospital will not formally admit the senior as an inpatient. Advocacy can help here! The squeaky wheel gets the most grease. Fourth, consider enlisting the help of your primary care physician to advocate to the hospital that you should be admitted as an inpatient rather than simply observed. Fifth, if the hospital’s treating physician has not justified to the senior’s satisfaction why the hospital will not admit the senior as an inpatient, contact the hospital’s ombudsman and administrators to plead your case. I cannot downplay the importance of this issue. To the extent that a senior requires rehab in a nursing facility, observation status means that they could be forced to privately pay the nursing facility tens of thousands of dollars. The time to fight this decision is during the hospitalization. Sixth, consider filing a Medicare appeal of the hospital’s decision. We and other patient advocates are pushing for Medicare reforms to clarify that all seniors hospitalized for three days qualify for Medicare-covered rehab, regardless of observation vs. inpatient status. But in the current political climate, such reforms stand little chance of passing Congress. So you must become your own advocate in the hospital. I will conclude by warning that even if a senior is formally admitted as an inpatient to the hospital, Medicare covered nursing home rehab can terminate a lot sooner than the senior requires to safely return home. For this reason, I advise families in this scenario to work with a qualified elder law attorney to discuss planning options to protect the senior’s home and savings, and to help the senior qualify for programs that can help them return home with the assistance they may require. (Patrick G. Curley is a Certified Elder Law Attorney, is selected to MA Super Lawyers, and serves as a member of the Board of Directors of the MA Chapter of the National Academy of Elder Law Attorneys. He practices law at Curley Law Firm LLP at 1 Common Street in Wakefield. Do you have an Elder Law or Estate Planning question? E-mail questions to Info@CurleyLawFirm.com or call 781.245.2222 x10 to be considered for future columns). On Wednesday, July 10, 2013, the Danvers Senior Center will offer a free presentation by Attorneys Patrick Curley and Lucy Budman entitled “Protect your Home and Savings against Medicaid, Nursing Home Costs, and Unnecessary Taxes”. The presentation will take place at the Danvers Senior Center, 25 Stone Street, Danvers from 10:30 a.m. – 11:30 a.m. The presentation will focus on specific strategies seniors and families can put in place today to protect their homes and their savings against the potentially devastating costs of nursing home care. Attorneys Curley and Budman are two of the very few attorneys in the state to have earned the esteemed designation of Certified Elder Law Attorney and to be named to 2012 Massachusetts Super Lawyers. Attorney Budman is also a Tax Specialist and holds a Masters of Law degree in Taxation. The Danvers Senior Center offers a weekly “Breakfast Club” that features a speaker on topics important to seniors. The Club schedule is available by calling the Senior Center at 978.762.0208 and/or visiting their website at www.dcoa.org. Wakefield, MA – Curley Law Firm LLP is pleased to announce that Attorney Lucy Budman will serve on the faculty of the Massachusetts Bar Association’s (MBA) upcoming seminar entitled “How to Draft a Trust That Works.” The November 15th seminar at the MBA’s headquarters will be attended by dozens of experienced Estate Planning attorneys from across the Commonwealth. Attorney Budman is one of only 23 Certified Elder Law Attorneys in Massachusetts and has a Masters of Taxation Law degree from Boston University School of Law. Lucy practices law with father and son Attorneys Mark and Patrick Curley (also a CELA). Curley Law Firm LLP is one of the largest law firms in Massachusetts focused exclusively on Will and Trust planning, Medicaid (MassHealth) planning and applications, and Asset Protection. More information about Lucy and Curley Law Firm LLP can be found on the firm’s website: www.CurleyLawFirm.com.